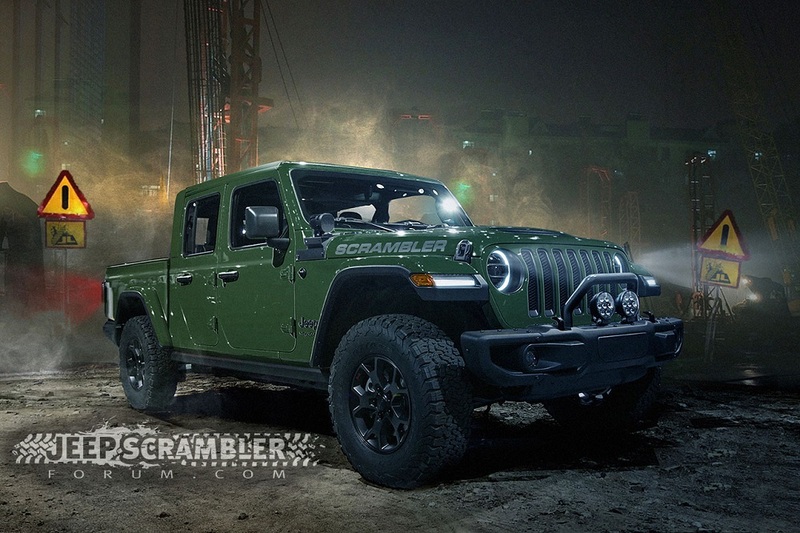 New renderings of the much-anticipated Jeep "Scrambler" pickup truck have surfaced on the internet once again, and we must admit, these sleek digital creations are the hottest ones we've ever laid our eyes on. 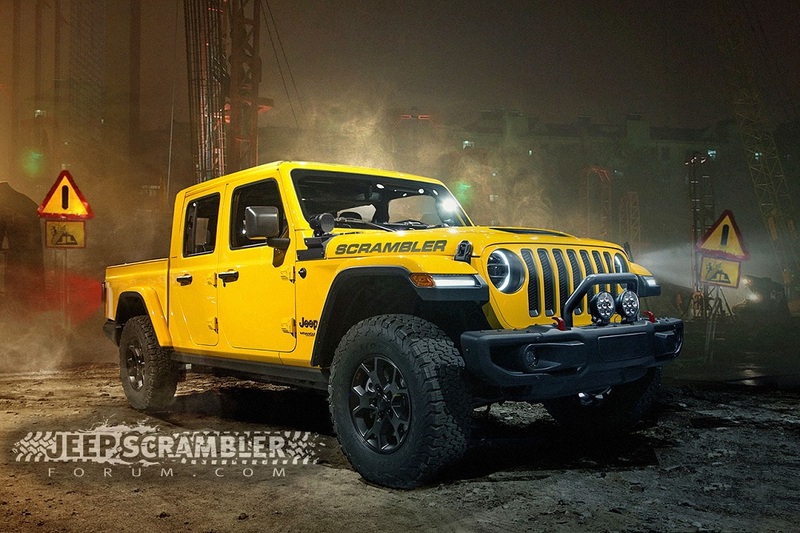 The renderings of the mighty Jeep pickup were created by the folks at the JeepScramblerForum, and they do an excellent job at bringing to life one of the most awaited and desired vehicles of 2019. According to the forum, these high-end images were created with the help of "spy photos, CAD leaks, and insider tips" in order to make them as realistic as possible, however, we have no way of telling if the real deal will look anything like this. The artist behind these renderings created two different poses for every exterior color, one that shows off the muscular front end, and one that highlights the boxy behind. The made-up colors are called Sarge Green, Hella Yella, Sting-Gray and Firecracker Red. 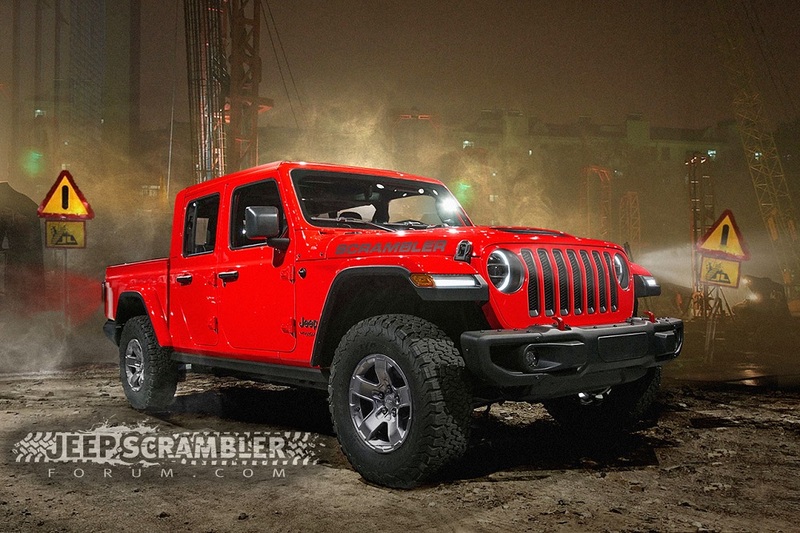 Despite the rumors that the Jeep pickup truck will be called the "Scrambler," it's worth reiterating that Jeep has yet to officially confirm the existence of a Wrangler-based pickup truck, much less its name. 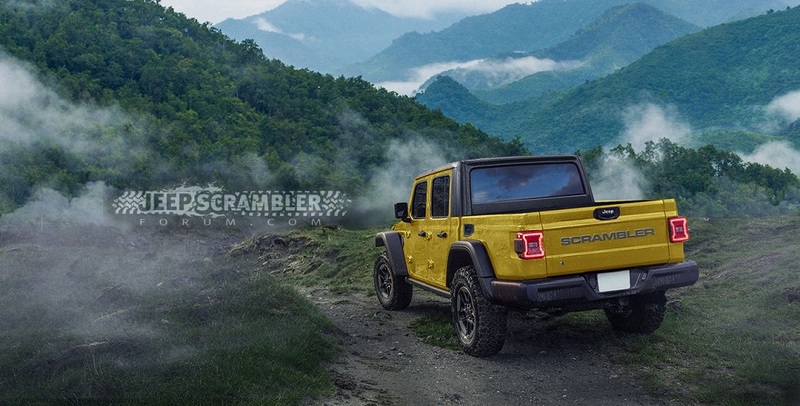 Furthermore, we reached out to Jeep to confirm the source's claim that the Scrambler will arrive at dealerships in April of 2019, or basically anything related to the truck. 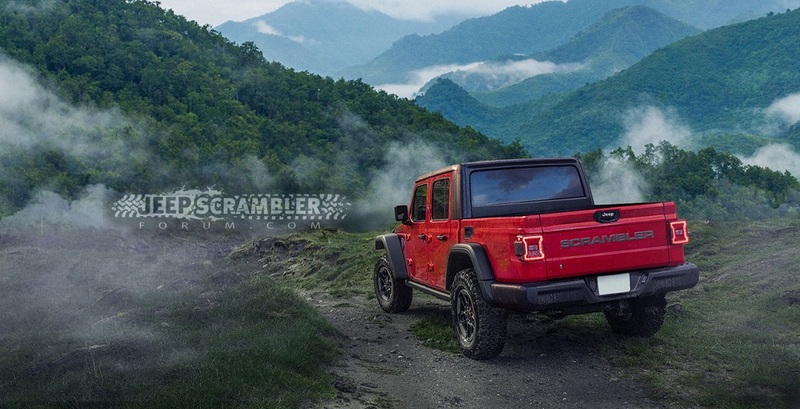 The response was received loud and clear: "Unfortunately we don’t have anything to share at the moment," a Jeep spokesperson told The Drive. Regardless of its name or possible release date, it's safe to say that if the real Jeep pickup truck looks anything like the one imagined here, it's going to be a heck of a cool ride.